Yokohama Design College’s International Center offers a variety of support services, aiming to ensure the comfortable learning environment for its international students. They can ask about everything from student dormitories to future plans (e.g., going to a school, finding employment), visa, and many more. At the International Center, our job starts with preparation of application documents 6 months before students enter the school. After the 6 months, at the airport, we pick up the students who have come all the way to Japan! These are the wonderful moments to finally meet face to face with the students we have known only in pictures. We organize orientations when students arrive in Japan, before breaks, and on other occasions when deemed necessary. In particular, when students arrive in Japan, we help them with essential processes to start the life in Japan, including registration, signing up for a mobile phone contract, and opening a bank account. 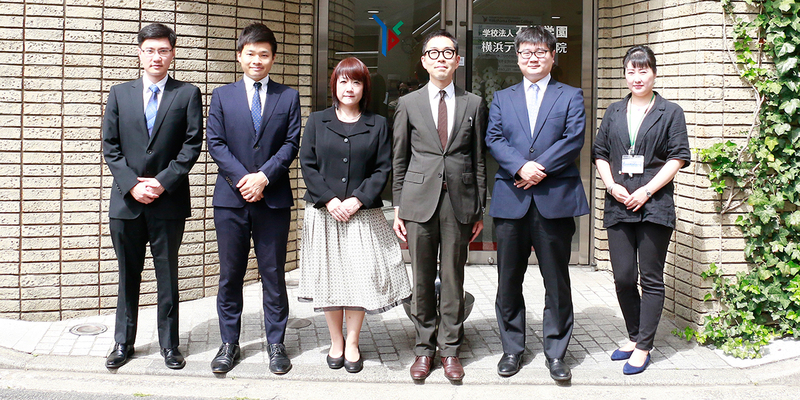 This is all to ensure that students can fully enjoy their experience in Japan. When you become sick, we can provide you with information on hospitals. Staff can also accompany you to the hospital if you are worried about your Japanese language skills. Please also feel free to contact the International Center regarding insurance procedures for treatment costs. If students miss classes without notice for several days, we may make home visits. Students are in Japan to study, so they should be at school every day! Students may be expelled from the school if they keep missing classes. We provide a range of support, not only in looking for jobs but also in preparation of a resume, interviewing skills and concerns after they start working. Working part-time is very helpful for international students in learning the Japanese culture, mindset, and society. However, it should not become their primary purpose. Make sure to follow the rules and only work up to 28 hours a week! Several students are selected for the scholarship program by JASSO twice a year. International Center prepares necessary documents for the selection and prepares for the examination. Please feel free to ask the staff if you have any questions about scholarships. We provide all kinds of guidance related to visa, including visa extension after you are admitted to another school, change of the visa status after you find a full-time job, and when you return to your home country temporarily. We help you with how to write the application form and how to go through the procedure to ensure smooth processes without worry. Staff members of the International Center go to various countries, to interview new students like yourself as well as to prepare application documents for a student visa to be submitted to Immigration Bureau. We keep in touch with graduates even after they go back to their countries; sometimes, we have reunions there.